The main direction of such medical areas as addiction medicine, is the fight against alcohol (drug) dependence with the help of drugs. Today, there are a number of drugs that have proven themselves in this difficult struggle. Before using drugs against alcoholism should be aware of the "pitfalls" and how to handle them. The main purpose of all existing anti-alcohol funds is to instill human aversion to alcohol and resistance to their use. It is important to remember that these drugs have many contraindications and side effects, so before using them should consult a psychiatrist. Also drug medication is strictly forbidden to mix in drinks or food without the knowledge of the drinker, as this can lead to unpredictable consequences. Prolonged binges are accompanied by alcohol intoxication, mental illness, and serious problems with heart and liver. 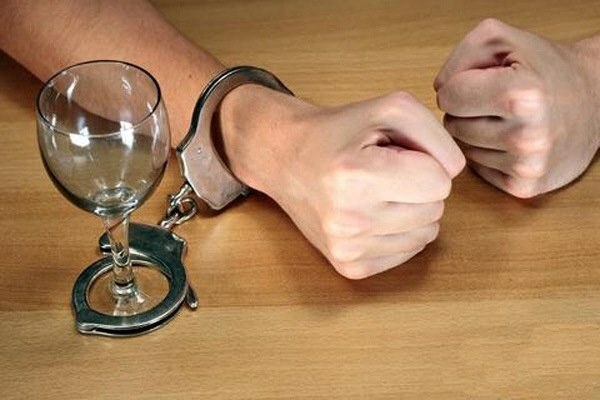 In this regard, treatment of alcoholism, drug medications can only be started after fully sobering up of the patient and cleansing the body of toxins and alcohol. One of the most popular drugs for the treatment of alcoholism is "Esperal" - tablet sewn or gel, causing long-lasting aversion to alcohol. It is recommended to use people who know how to control themselves, because after sewing the pills substance enters the blood quite small doses and the person may fall, despite the absence of craving for alcohol. The good reputation people have and the "MCPFE" - drops without smell and color, after receiving which the body starts to reject alcohol. Similar effects have pills "Leavin" appointed for the treatment of chronic alcoholism. Also disgust and immunity to alcohol cause drugs such as "Tatlong 250", "Clomethiazole", "Teturam", "torpedo", "Limontar", "Metadoxil" and "Disulfiram". In addition to its primary action, they accelerate the elimination of alcohol toxins from the body and not allow the person again "to overturn a glass-another," causing one smell of alcohol persistent and unpleasant reactions such as nausea, fever, chills, panic, noise in the head and so on. The dosage of the selected drug treatment funds should be established for each person individually. Advertised "Proproten-100" relieves hangovers, but does not cure the person from alcohol addiction.